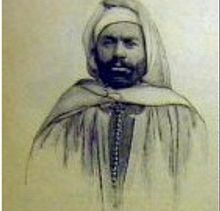 Algerian rebel Areski El Bachir was guillotined on this date in 1895 at Azazga with five of his companions. Our man emerged in the 1880s bedeviling the French from Kabilya where the French had already had to suppress a rebellion. Collective punishment for that rising, onerous taxes, and the empire’s confiscations to benefit colonists all fired continuing resentment. To French eyes, El Bachir was simply a bandit. But for periods of his nearly 15 years’ activity his word was next to law where the triclor could not reach. 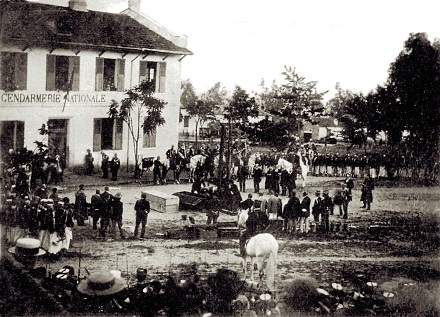 Kabilya’s colonial officials lived in fear of his revenge. It required a dedicated military expedition mounted by the Governor-General of Algiers in order to capture El Bachir and disperse his band. Many of his followers were deported to the New Caledonia penal colony.